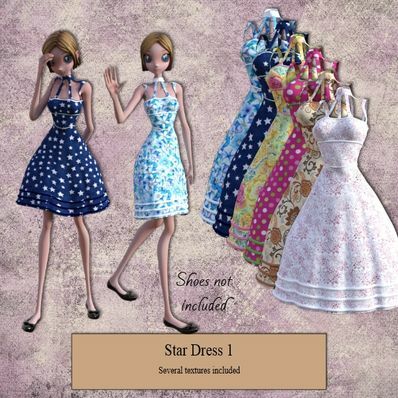 A Dress for Star for use in Daz Studio 4.8. Adorable summer dress, thank you! Thank you for yet another beautiful creation. Thank you for the dresss. Lovely dress - thank you so much!